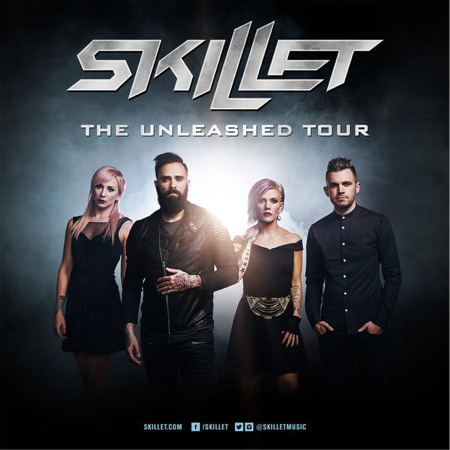 Grammy-nominated rockers Skillet have expanded “The Unleashed Tour” with additional stops throughout Europe and Russia this Fall. The new string of dates will kick off on November 6th in Paris, France and take the band through Europe and Russia before ending on December 9th at the KOKO in London. 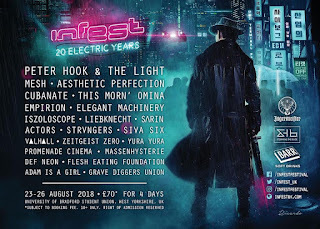 Red Sun Rising will be joining the band on the international tour. 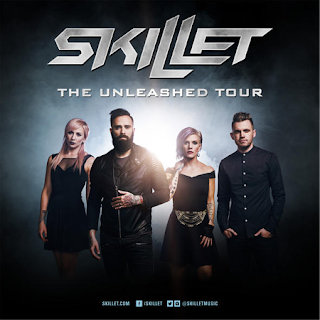 The tour is in support of Skillet’s first album in three years, Unleashed, which will be released on August 5th. Unleashed is the follow up to the band’s critically acclaimed, gold-certified 2013 release, Rise. Those who have pre-ordered the album have already received ‘Feel Invincible,’ ‘Back From The Dead’ and ‘Stars’ from the upcoming release. Another track, ‘I Want To Live,; has just been made available as an instant download. Akron, OH’s Red Sun Rising will provide support for dates in Europe and Russia. Skillet has cemented its place as one of the 21st century’s most successful rock bands. Selling more than 11 million units worldwide, the Wisconsin quartet have received two GRAMMY® Award nominations and won a Billboard Music Award for the platinum-certified Awake. Their double-platinum single “Monster” is “the eighth most-streamed rock song of 2015” with a total of 57 million plays (and counting) on Spotify and would earn the distinction of becoming “the best-selling digital single in the history of Christian Music.” 2013’s Rise bowed at #4 on the Billboard Top 200 upon release, received resounding and eclectic acclaim from the likes of USA Today, New York Times, Revolver Loudwire, etc. and was recently certified gold by the RIAA.